Sound Off: Jason Reitman's 'Labor Day' Adaptation - Your Thoughts? Now that you've seen it, what did you think? Adapted from Joyce Maynard's bestselling novel, Jason Reitman's latest work, the fifth feature film he's directed, is Labor Day. The film stars Josh Brolin as a drifter along with Kate Winslet plus Gattlin Griffith as her son. It first premiered at film festivals in late 2013, but is now in wide release from Paramount. Check your local listings to see this film in theaters. So how is it? After Juno, Up in the Air and Young Adult, is one of Reitman's better films? How are Winslet and Brolin together? 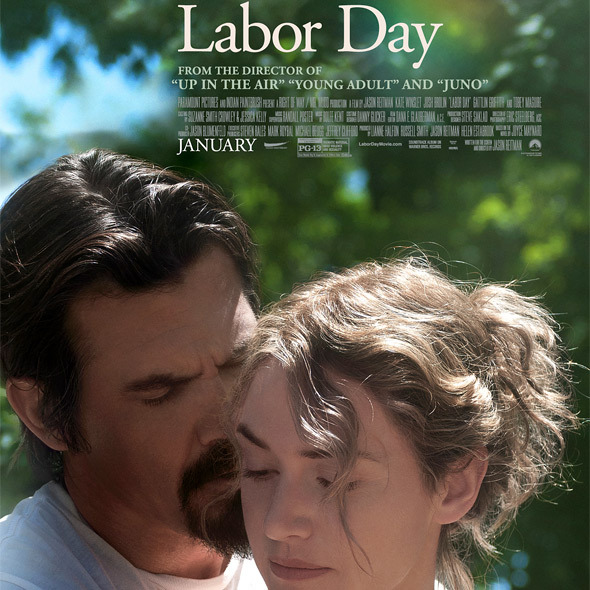 If you've seen it, leave a comment with your own thoughts on Jason Reitman's Labor Day. To start the discussion, I really enjoyed Labor Day, I think it's one of Reitman's most elegant and mature films yet. I first saw this back at the Telluride Film Festival last year and wrote in my review then: "While I've used the word 'beautiful' to describe many films, this one truly deserves that adjective. Winslet gives an exceptional performance that will echo through the minds of many, and Brolin matches her in the way he balances fierceness and charisma. It's a beautiful film in the way it handles love, emotions, complex characters and relationships. It's a quiet film, not only in atmosphere but in dialogue, though nonetheless beautifully quiet." It is a very moving film, and I appreciate its storytelling finesse as much as anything else. What did you think of Reitman's Labor Day? One of his best films yet, or a sappy melodrama?